Vice President Dr. Mahamadu Bawumia, has announced that a revised version of the Right to Information Bill has been approved by Cabinet and forwarded to Parliament. “Cabinet has given approval for the Right to Information Bill to be laid in Parliament for debate and approval because it is very critical that we pass the Right to Information Bill,” Dr. Bawumia stated during the Norway-Ghana Business and Investment Forum in Accra today [Monday]. His announcement comes after increased agitations from civil groups, like the Right to Information Coalition, pushing for the passage of the Bill, which has been on the shelves for nearly two decades. The Vice President said the Bill, if approved will go a long way to boost the fight against corruption and strengthen investor confidence in Ghana. “It is our hope that this will be an additional feather in our cup in the fight against corruption,” he noted to the forum. It is unclear what revisions have been made, but the Speaker of Parliament, Prof. Mike Oquaye, said the version of the Bill he was acquainted with did not factor in the private sector. The Speaker says making access to information from the public sector mandatory through the passage of the Bill without including private businesses, will be meaningless . In Prof. Oquaye’s view, state officials suspected to be corrupt usually have links to the private sector. The RTI Bill, which is expected to make information easily accessible by the media and Ghanaians to boost the fight against corruption has been in legislation for well over 17 years now because successive governments have failed to implement it despite several assurances. Efforts by several advocacy groups to put pressure on the duty bearers to have the bill passed have also not yielded any positive results. During his last address to Parliament, outgoing President, John Mahama begged Parliament to pass the Bill at the last minute but his call was ignored. 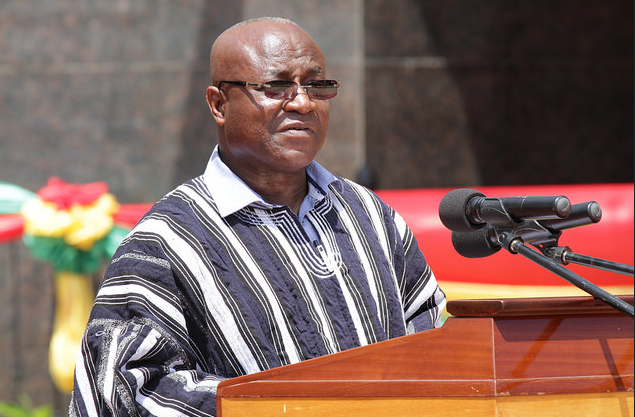 Over the weekend, the Majority Leader in Parliament, Osei Kyei Mensah-Bonsu, had also given some assurances that the passage of the Right to Information Bill will be raised in Parliament soon. However, he added that the onus of the implementation lay on the executive. Observers have criticized successive governments of lacking the political will to pass the Bill, and these concerns were highlighted by a former Vice Chairperson on Parliament’s Constitutional, Legal and Parliamentary Affairs Committee, George Loh, who suggested that Mr. Mensah-Bonsu obstructed the passage of the Bill at the tail end of the Mahama administration. According to him, the Bill was far advanced and needed only three readings in Parliament to become law, but Mensah-Bonsu, who was then the Minority Leader, said the passage of the law was no pressing in that moment. Mr. Loh asserted that the Bill could have been passed into law within three days, but for the Minority’s resistance.